You are here: Home » Archive » Has science disproved the Bible? Do you ever read reviews? I do… I love those 5 little stars on Amazon, or Ebay, or Walmart.com or whatever site I’m on at the moment. I feel good about a high rating that is validated by a lot of people. I figure that they have saved me the time of doing the research on my own. Relying on a ‘majority’ of experts is not a bad way to make a decision – unless the results of that research could have an impact on the ones doing the research. What if you learned that all of the reviews written about a car were written by people from that car’s main competitor? Would it affect our trust in those reviews? It should. The discussion of science and the Bible is similar. The implications are not neutral but have a significant impact in morality, finance, family, sexuality, family, government, medicine, etc.. All of a sudden it becomes apparent that we need to critically examine what the majority says. This is not an area of life that we can “outsource” to someone else. We are familiar with the idea of bias, but this is more significant. And it’s hard to understand until you grasp the concept of Wordview / Cosmovisón. You can see more about that from the post last week. In summary, a large part of our worldview has to do with our assumptions. We choose the assumptions we make just like we choose to put on glasses. And in this case… everyone wears “glasses”, even if they are unaware of it. In fact, it is so deeply ingrained that when we encounter information that threatens the assumptions we have, it feels like it is threatening ourselves. And not assumptions are equally valid. We feel this intuitively when someone makes a bad assumption about our character. 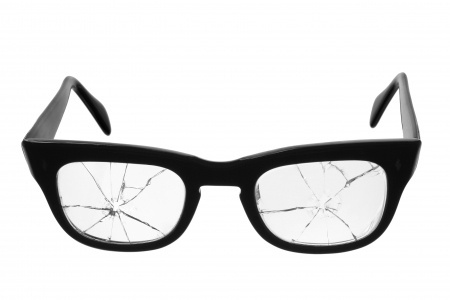 These faulty assumptions are like wearing broken glasses, leading us directions that are harmful to ourselves and others. Great question. And the answer is… it has a lot to do with the Bible! If we don’t believe in the supernatural, of course we will be skeptical when we read about it in the Bible (no matter how vast the manuscript evidence is). If we choose human freedom as our ultimate virtue, then it is natural to dislike a God who is outside of our control and who claims authority in our lives. In fact we probably won’t put up with it. We’ll just “shop around” until we find a type of spirituality that meets our felt needs without assaulting our worldview commitments. Romans 1 explains it well, although it may make us uncomfortable to read it. It says that our rejection of God is actually a choice of the will, meaning that it is not an objective conclusion limited to the realm of our intellect. Please push through the discomfort and wrestle with this. Not only is it a matter of life and death, it is a matter of unspeakable joy. Don’t give up the search! How aware are you of your own assumptions? How do you know? What are the implications if you were to change your assumptions? Try writing down 5 assumptions about reality and the nature of knowledge that you have as you approach spiritual or scientific information. Want to study this issue more? Here is our handout from last Sunday. It has some more information and more questions to chew on. It also has our study of John that relates to this topic. The article by Dr. Lewontin requires at least a temporary ($5) a subscription to view. I downloaded it during my subscription and you’re welcome to borrow it. Just ask me.